In one week, The Academy Awards will be airing on ABC. Over the course of the evening, fashions will be discussed and awards for acting will be handed out, but my favorite part will be finding out who will win for Art Direction. The following are the 2011 nominees for that Oscar. My first thought is that this is an odd choice, as I would have thought most of the sets were added in digitally. But, that poses an interesting question, because whether the set is real or digital, someone still has to decide how it looks. 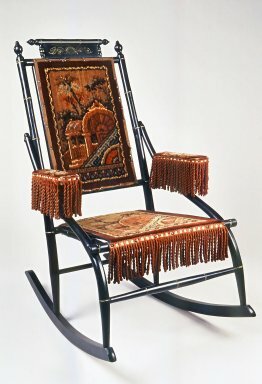 If a Queen Anne chair or Regency bench is chosen from an antique store or recreated in a virtual world, the designer still has to recognize the necessity of it and know where to place it. I’m not even sure I can choose one image to represent the Harry Potter series’ interiors. I don’t know what I love more, Dumbledore’s office, the Griffindor Common Room, or the Weasley’s house, The Burrow. What I do know is that there should be a religion named after Stuart Craig. He has been nominated for his work in Harry Potter since the first movie. If you happen to have read my post called, The Architects of Simplicity, then you’ll know who I want to win in this category. Magnificent sets. Both real and virtual. This is a movie I will look at more closely in a forthcoming post. The royal palaces had to be historically accurate and the background often blended out of focus as the attention was placed, rightly so, on Colin Firth as King George VI and Geoffrey Rush as Lionel Logue. All this was done with impressive ease. I must confess, this is the final box to tick on my “Oscar movies to see list” and I’ll be seeing it this week! But, while a lot of this movie appears to take place outside, if Joel and Ethan Coen’s past movies are any indication, their sets always have as much personality as their characters. I will hopefully have more details to report soon, full of great Western Frontier interiors! I’ll be watching (and tweeting the results!) next Sunday, February 27. About two months ago I saw a great movie called The Brothers Bloom and of course, out of no where, BOOM!, design. I was happy to spot a dining table surrounded by Bauhaus style chairs. My first thoughts turned to Marcel Breuer. The design of the dining room chairs reminded me of his Wassily chair. As a student and a teacher at The Bauhaus in Germany in the 1920s Breuer helped to invent tubular steel furniture. 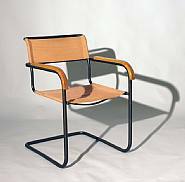 His most famous and well-recognized piece is the Wassily Chair, originally named the Type B3 Steel Club Chair. The chair was later named for Wassily Kandinsky, who admired the chair and had one made for his own home, by the designer and fellow Bauhaus artist, Breuer. And while the chair is most often seen in black leather, I’ve shown it here in white because it is most similar to the chairs seen in the movie. 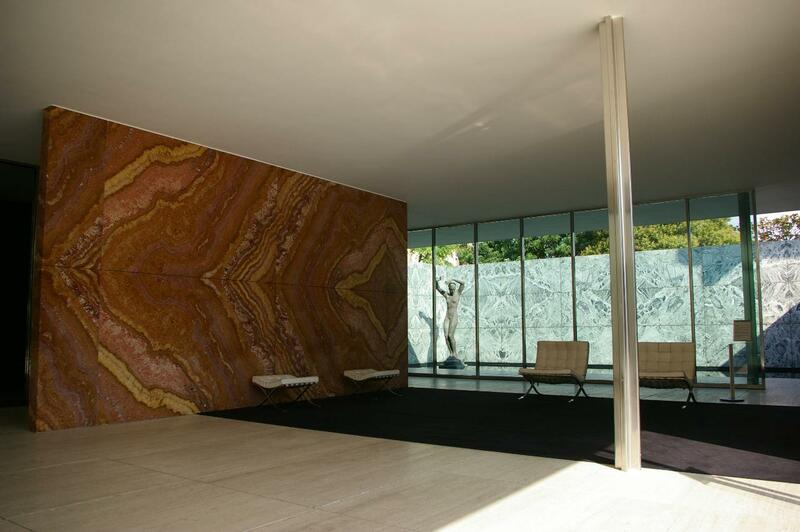 But, after more investigation and reading, I learned about Mart Stam, a Dutch Bauhhous designer from the same time as Marcel Breuer. From what I have found, they both developed tubular steel chairs around the same time period, but it seems Breuer usually gets the credit. And since The Brothers Bloom was all about the underdog or the over-looked getting his due credit, I’m going to give Stam the credit on this one. Even as exact replicas of his Cantilever Chai S34 are sold today, they are billed as Breuer style chairs. 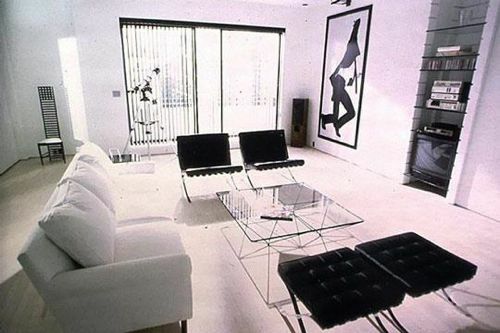 (See the cream colored Director’s Chair above – it’s sold as a “Breuer Director Style Chair.”) To be fair, Stam and Breuer’s chairs are VERY similar. So can we agree to disagree? I say Stam. But they are from the same school: Bauhaus, and they are from the same time period: the late 1920s. Maybe they helped each other? The difference seems to me, to be in the arm rests. 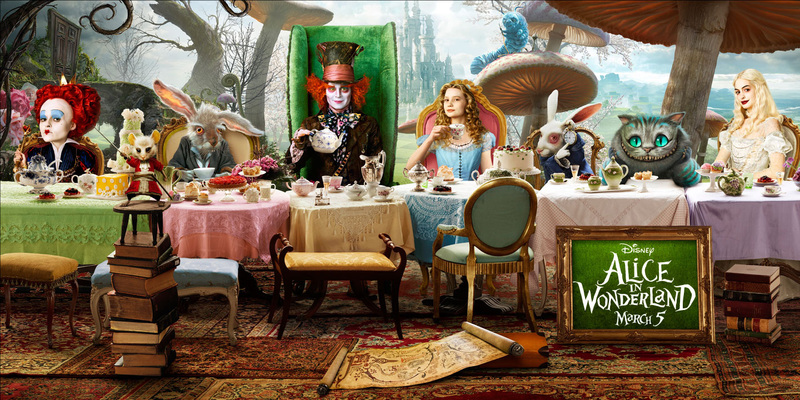 Another piece of furniture I noticed in that flash of a dining room scene was the table. Not that I recognized it, but I had to look into it after the chairs revealed so much. I could very easily be wrong here, but I’m going to guess this table is from Design Within Reach. DWR describes the table on their website as having, “the angular beauty of …the strict architecture of Marcel Breuer’s seminal work and the clean geometry of Le Corbusier’s ‘equipment for living. '” I mean, it is a movie set after all and they probably are using modern reproductions, so I’m just going to go with the flow and say this isn’t a piece of historical design, but a modern one that works beautifully. Even if it is only on screen for 17 seconds. 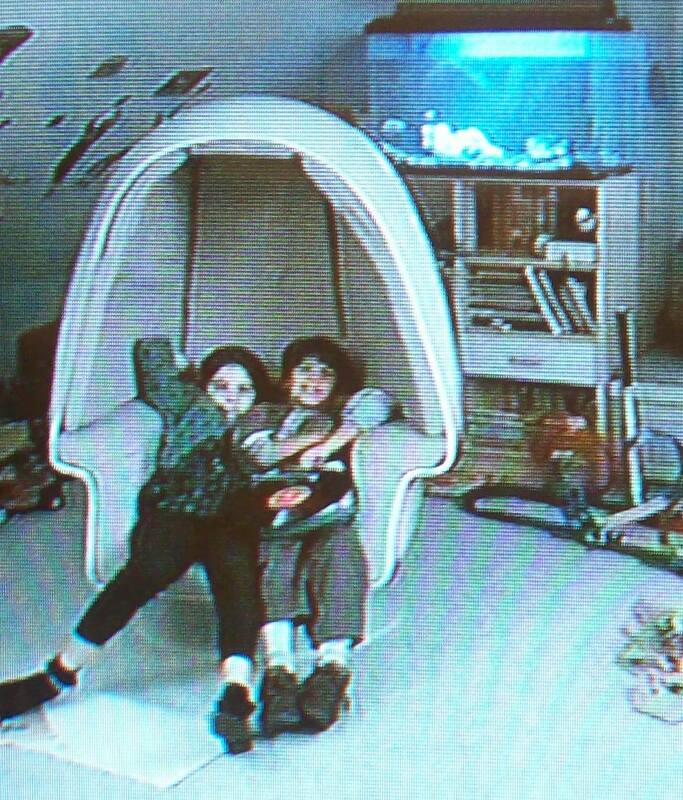 I remember watching Sleepless in Seattle when it came out in 1993 and thinking Jonah had the coolest chair I’d ever seen – and that was it. But now, watching it again as an adult and as a follower of design, I had to find out more about it. I started by researching “egg chairs” and soon discovered that term opened up a whole can of worms, or, rather, a whole timeline of chairs! His chair is the most recent in a long design lineage of chairs. Jonah’s chair, originally known as the Alpha Stereo Chair, was designed by Lee West (dates unknown) and was made for Krypton Furniture. It is now called the ModPod Egg Chair and they can now be purchased from a company called inmod. But the story behind this “egg chair,” I think, begins in 1957, with Arne Jacobsen’s design of the first named Egg Chair. Jonah’s egg chair has arm rests that are reminiscent of an Eames design. Also from 1948, and also featuring a similar arm rest design is the Womb chair, designed by Eero Saarinen. The final design component I noticed on Jonah’s chair was the base. 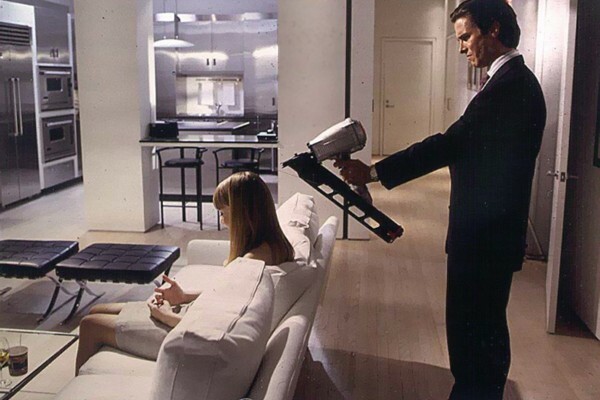 This great swivelling base that makes the whole scene in the movie as he and Jessica spin the chair around using only the tips of their toes that touch the ground. This base must have been inspired by Eero Saarinen as well, in his Tulip Armchair from 1956. And finally, there is another egg chair …not like Jonah’s and not like the original by Jacobsen, but one from 1968 designed by Henrik Thor-Larsen. It was first shown at a Scandinavian furniture fair in 1968 and became a quick classic – and let’s face it, shape-wise, it is the most deserving of the name, Egg Chair. 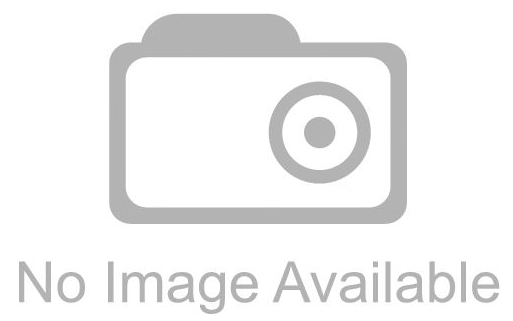 The chair was manufactured from 1968 to 1978 and has been so popular that the company re-released it in 2008. 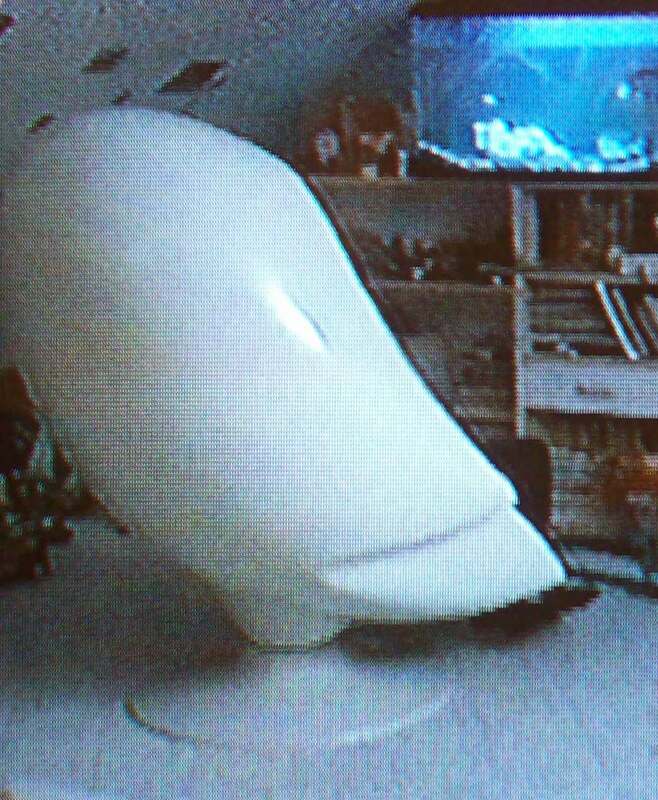 The egg chair, not to be confused with the ball or globe chair, by Eero Aarnio from the early 1960s, is a term that encompasses more chair history than I would have ever thought of in 1993 when I just wanted Jonah’s cool chair. It’s no coincidence that when I saw this movie I was instantly taken by Peter Colt’s parents’ house. I had just moved back to the US from the UK where I spent a year travelling around with my graduate school class studying residential architecture and interiors. We had even made a trip to see Broadleys (1898) on Lake Windermere in Cumbria. 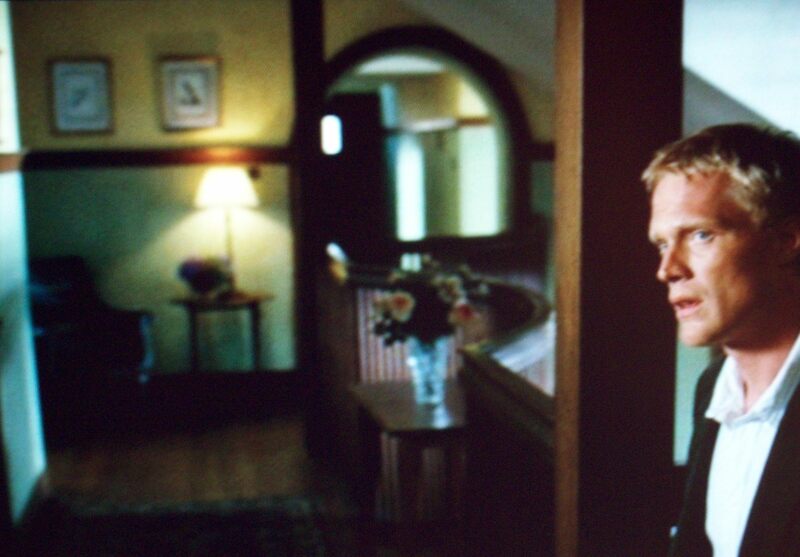 And except that Broadleys in on the water, the two houses – Broadleys and the Colt’s home in the movie – are quite similar. 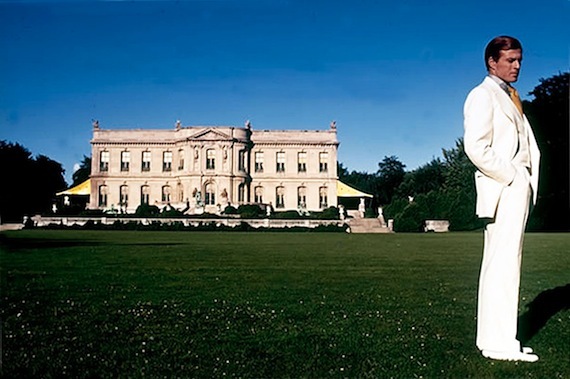 It was a house called Norney, by C.F.A. 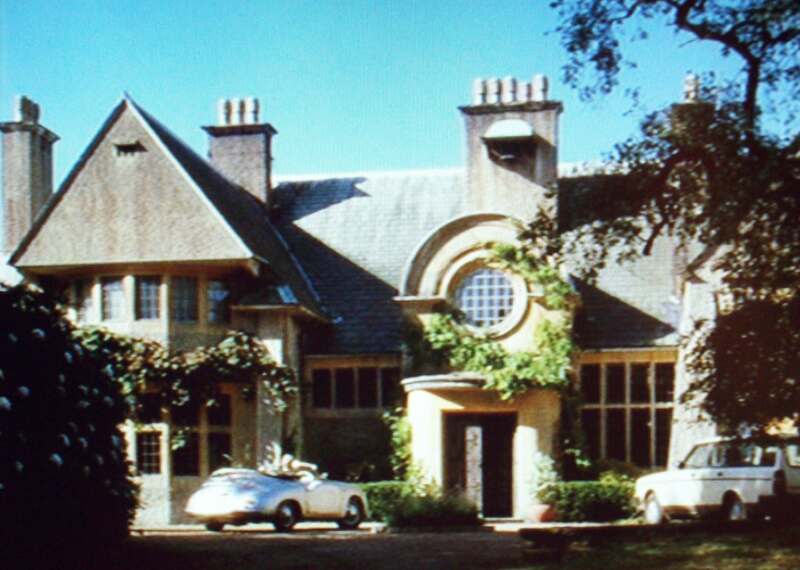 Voysey, that was used in the movie Wimbledon as the main character, Peter Colt’s, parents’ home. I think that’s what I love about Voysey’s houses; they always feel like a parents’ home to me. The warmth of the wood, the organic feel of the interior design and the way they appear to have grown over time, as the family has, makes them welcoming and comfortable. Yet, at the same time, their use of vernacular architectural details and their sheer size give them a regal quality that their often used title of ‘cottage’ usually doesn’t cover. According to the English Heritage website, Norney was built for Reverend Leighton Crane. 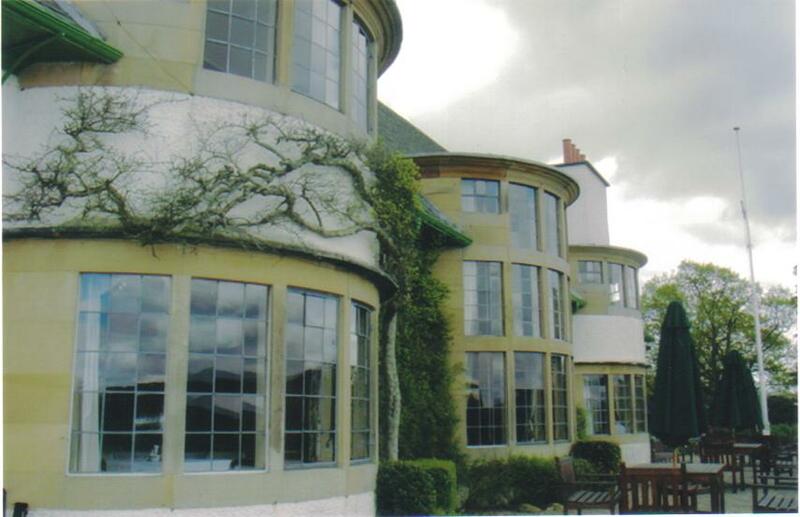 The round window, seen in the picture above, was often seen in Voysey’s architecture. C.F.A. Voysey was an English architect, textile designer and furniture designer during the Arts and Crafts period. And though his designs followed the simple country look of the Movement, using the English vernacular style of the 17th century, he is still considered a pioneer of Modern Architecture. Though, that distinction comes from those whom he influenced and was not his intention. 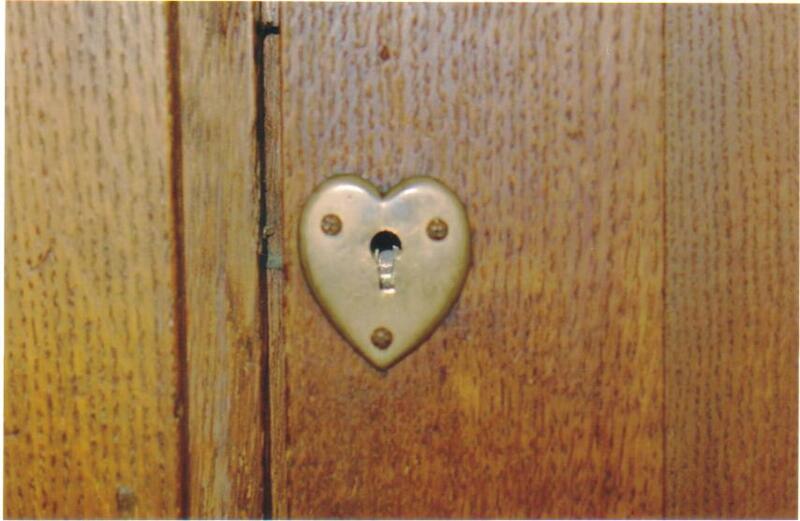 Voysey paid very close attention to detail – he designed the furniture for his houses – and even the lock designs as seen in the example above from Broadleys. 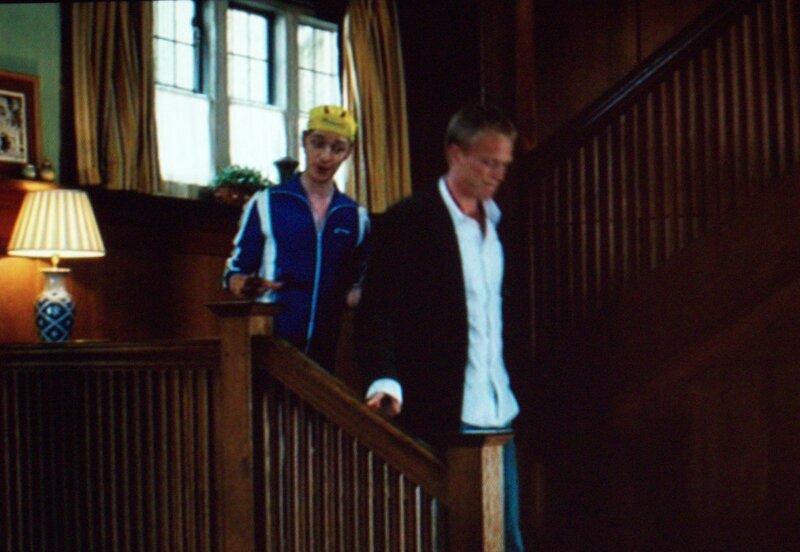 Other similarities I noticed between Broadleys and Norsey, while watching Wimbledon, included the upstairs hallway and the staircase. Both hallways feature a balcony where one can look over the room below. They also both have rounded doorways and slanted ceilings or walls that make sure you know you’re upstairs and just below the line of the roof. 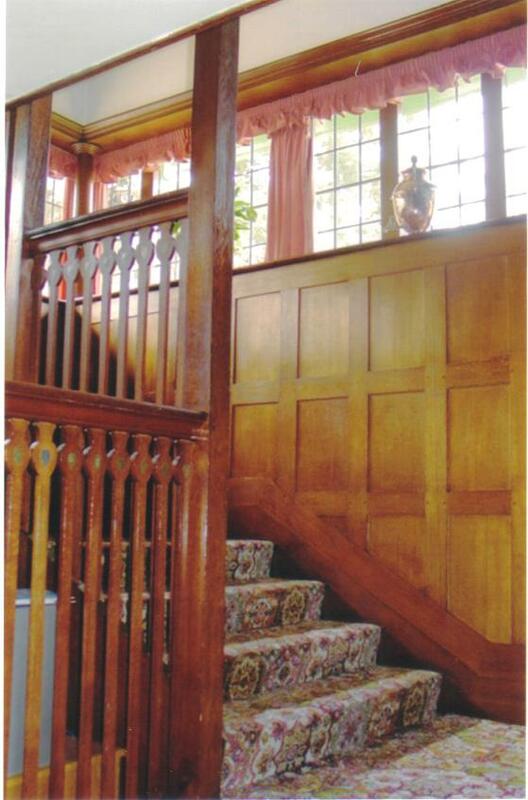 I associate upstairs ceilings that slant with small cottages and it is with details like this that Voysey is able to give these substantial homes the feel of a small cottage. While you can see that the layout of Broadleys and Norney are mirror images of each other, their similarities are striking. They are after all both created with the architectural language of Voysey. Both staircases feature flat and closely spaced rails. 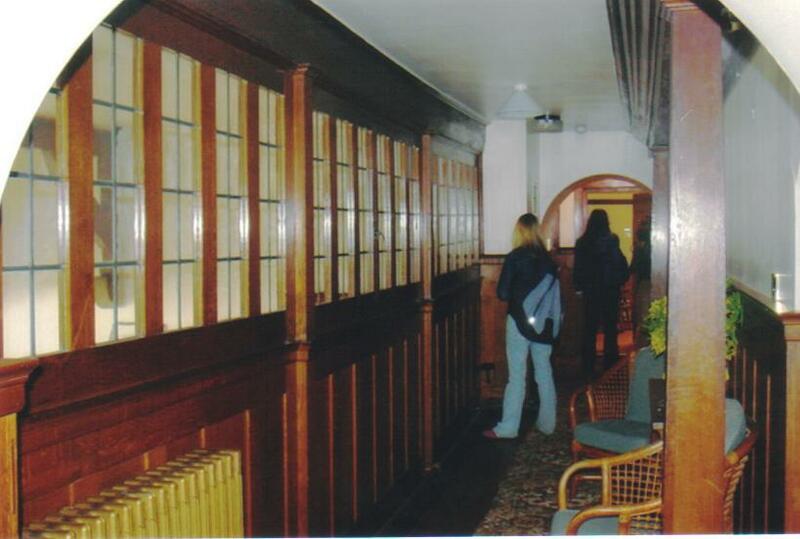 They also both have wood panelled walls and a highly placed windows in the stairwell that lives in an area between the two floors, not really belonging to either one. Unfortunately, during my trip to Broadleys, I did not find James McAvoy on the staircase. But it wasn’t a total loss because I loved my time spent there and it helped me to instantly recognize the house of Peter Colt’s family as a piece of Voysey architecture.